The leading causes of auto fatalities were driving while intoxicated, improper lane usage, and excessive speeding. In 2015, nearly 900 individuals lost their lives due to fatal car accidents in the state of Missouri. The leading causes of auto fatalities were driving while intoxicated, improper lane usage, and excessive speeding. Auto accidents are responsible for injuries that range from mild to severe, with an economic cost of around $897 for every individual living in America. Injuries from car accidents vary, but there are some common ways that people get hurt. These injuries can be anything from minor hiccups in a person’s life to a severe disability that can forever alter their future. The most common types of injuries from car accidents typically fall into one of three categories. Traumatic brain injuries tend to be the most serious and life-altering ones that people can sustain in a car accident. When you are driving and the car stops suddenly, because of inertia the body does not stop suddenly; this usually results in people hitting their heads on the dashboard, the steering wheel, or the window. Depending on the force of the impact, the medical treatment and consequences can be extensive. Back injuries are also one of the most common types of injuries suffered in a car accident. Back injuries are those that affect the spinal cord and can lead to widespread nerve damage, and in extreme cases, paralysis. 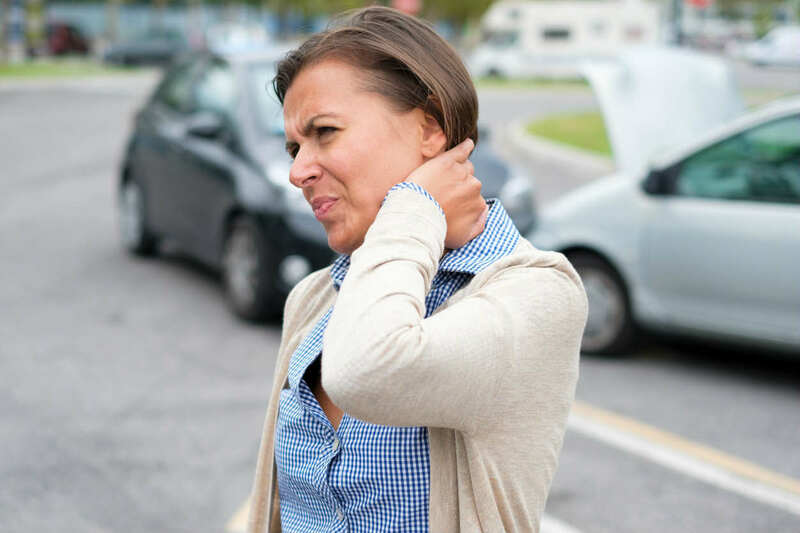 Car accidents also can lead to herniated discs and other types of injuries that can result in muscle weakness, tingling sensations, and leg and arm pain. One of the most common types of neck injuries is whiplash. Whiplash occurs when the neck is moved around quickly, and there is subsequent damage to ligaments and muscles. Whiplash can be mild or it can be severe, leading to things like vocal cord paralysis. Chest injuries are usually caused by blunt-force trauma to the chest area. Things like a collapsed lung or other internal damages are caused by an accident where the organs are hit. Chest injuries can also lead to problems with the pelvis and abdomen area that may require extensive medical treatment. When someone is riding a motorcycle, it is not uncommon for them to break bones or to suffer from the possibility of severed limbs. Since you are much more vulnerable when you are riding a motorcycle, the damages and injuries tend to be much more severe than in an auto accident. If you are injured in an auto accident in St. Louis, even if you think that your injury is minor, it can turn major pretty quickly, which is why it is imperative that you seek medical attention immediately. For help recovering compensation for your injuries and any other economic or non-economic damages that you suffered due to someone else’s negligence, speak with St. Louis car accident attorney as soon as possible.